SKU: Test Ride- Western. Categories: Western Saddle Pads, Western Horse Tack, Therapeutic Saddle Fitting Pads. Tag: western saddle pad test ride. Everything I have read and heard about ThinLine sounds great but can I really trust it is worth the investment? 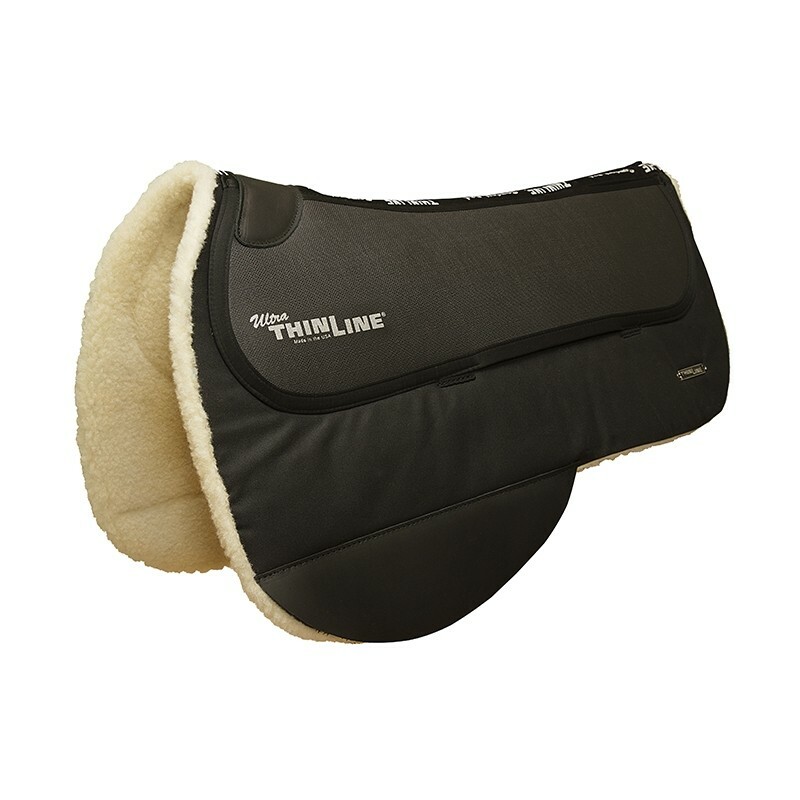 If you have never owned a ThinLine it can be daunting to trust this saddle pad can deliver all it promises. This is why we have developed the test ride program- ThinLine is all about the results. And with so many companies making similar claims how can you be sure you are really doing the right thing for your equine? We understand. And we know, it is only because this product does so much you can only be sure when you ride in it. Since we are equally invested in the comfort and success of your ride we are providing you with an opportunity to test ride a ThinLine western saddle pad. How do I know ThinLine is delivering the comfort and protection my horse needs? Once you receive your pad, ride in it for at least a week. At first, you may simply notice things like; “my horse was great today, my seat and aids were soft and effective”. Great job! You are on your way. You will see daily improvement. But, this can be a bit subtle in the beginning. After at least a week of riding daily, begin your warm-up with the ThinLine. Once you are warmed up, remove the ThinLine and ride. This is when you will see just how much your horse is loving his pad. How does the Western & Endurance saddle pad test ride program work? 1~Choose your pad. Please note: The pad you receive to test ride will have been previously ridden in. 2~Purchase your pad. The cost is $50.00 plus shipping. Shipping charges range from $9.99 East Coast to $14.99 West Coast. 3~Ride in your pad for 2 weeks. A return label will be included in the package with your pad. After 2 weeks of use, please use the label to return the test pad to us. 4~Return the Test Pad. When we receive the test pad you will be issued an exclusive $40.00 coupon good on any ThinLine product at www.thinlineglobal.com. 5~Once you have fallen in Love with the ThinLine feel decide which textile and style of pad best suits you and your horse. Use your $40.00 coupon to purchase your new ThinLine. Note: This program is currently available for US mainland customers only. Today, we have all of the options listed in the above drop down menu available to choose from. Demo pads are updated here weekly so check back in a few days if the pad you’d like to try is not listed as available. If you would like to try shims with your test ride pad. You can find them here. Cost of the shims will be refunded to you once you have returned them. Q Can I try more than one pad? A Thank you for your question! You can try more than one pad at a time by adding each individual test ride pad to your cart.